This Agreement is concluded between the Landlord and a Tenant. It sets out terms and conditions of the deal, rights and liabilities of the parties, etc. 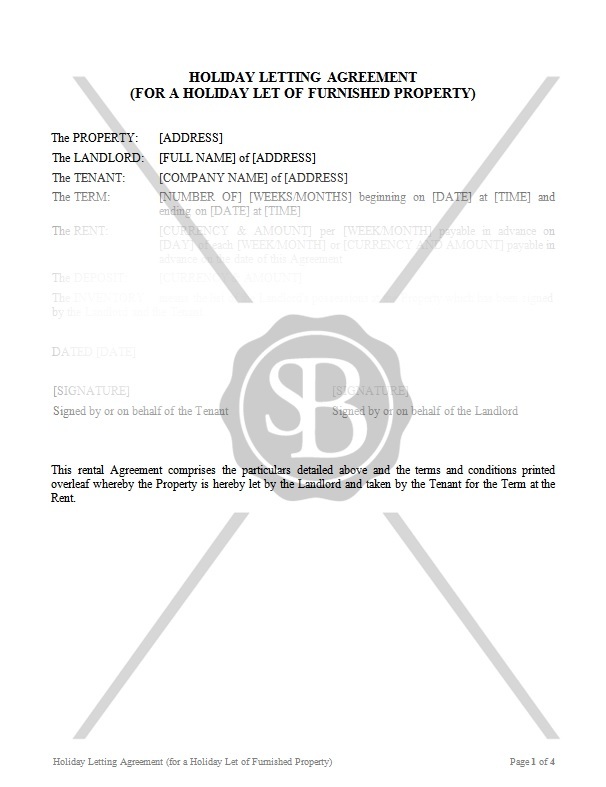 The Tenant shall be entitled to occupy the property for holiday purposes only.